Join women business owners and representatives of corporations, governments and trade support institutions at WVEF 2013. This global event provides buyers and sellers in select sectors the opportunity to explore business partnerships, build skills and engage with dynamic public and private sector leaders from around the world. The Women Vendors Exhibition and Forum is the annual event of the Global Platform for Action on Sourcing from Women Vendors; the Global Platform seeks to increase the share of corporate, government and institutional contracts awarded to women-owned businesses. Launched in 2010, the Global Platform has a 10-year strategy to link buyers, sellers and institutions to build the capacity of suppliers to meet buyers’ requirements for the ultimate purpose of facilitating sales. Over 500 women entrepreneurs, buyers, government representatives and trade support institutions from 48 countries attended the WVEF in Chongqing, China (2011) and Mexico City, Mexico (2012) resulting in over US$ 20 million of agreements to transact business. Dynamic speakers who are thought leaders and practitioners in supplier diversity and women’s economic empowerment through trade. 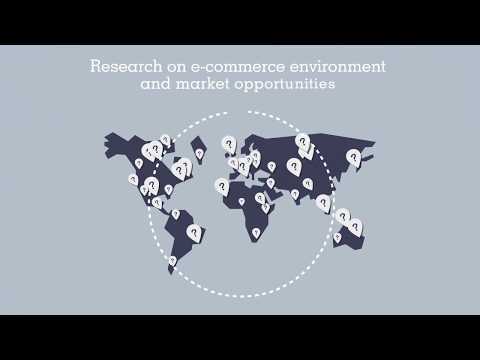 The Platform is led by the International Trade Centre, with the support of WEConnect International. Partners for WVEF 2013 are the Government of India Ministry of Micro, Small and Medium Enterprises; the National Small Industries Corporation, India; United Nations Global Compact; the International Federation of Business and Professional Women; Vital Voices Global Partnership; the International Women’s Coffee Alliance; Full Circle Exchange; Quantum Leaps; SPINNA; Women’s International Shipping and Trading Association; the Madhya Pradesh Association of Women Entrepreneurs (MAWE) and the Confederation of Women Entrepreneurs (COWE). Platform meetings are made possible through the assistance of the Government of the United Kingdom through the Department for International Development; the Norwegian Ministry of Foreign Affairs; the Government of Australia through AusAID; and the Ministry of Foreign Affairs of Finland.